For people traveling to more than one country in Europe the freedom to move without restriction from one nation to another is an improvement over the past when there were customs controls at every border and each country issued its own visa. Easy movement between countries for citizens of Europe as well as those of the United States, Canada and a number of other countries is enabled by the Schengen Treaty. Since 1995 visitors from those countries can travel freely inside the Schengen Zone without applying for a visa for up to 90 days within a 180 day period. That freedom is also a limitation: staying longer than 90 days is illegal and can result in severe penalties. As I planned the journey I’m taking now I spent many hours working out plans that would allow me to stay for more than six months without being inside the zone for more than 90 days. At present 26 countries are in the Schengen Zone. Most but not all of them are member states of the European Union. Seven EU countries are not in the Zone: United Kingdom, Ireland, Croatia, Montenegro, Cyprus, Romania and Bulgaria. At this time Croatia and Montenegro are working toward becoming member states next year; Bulgaria and Romania are also working to become Schengen Zone countries. Switzerland, Norway, and some smaller countries are not in the E.U. but are member states of the Schengen Zone. I’ve been moving in and out of the Zone since January. Today I’m heading to Estonia and Latvia for a few days. If it weren’t for the 90 day limit I’d be staying there much longer and traveling in Scandinavia as well. When I leave Latvia I’m going to Ukraine for a couple of weeks, in part because its outside the Zone. After that I plan to spend two months in Ireland before returning home. I have used a spreadsheet to count my days in the Zone when planning my journey. Google “Schengen Zone” to find many references, calculators and explanations on the web. In planning a very long trip at the lowest possible cost I’ve discovered three new apps that (along with an old favorite) are making my journey possible. Try them for planning your next trip, long or short, far away or close to home. I use them on my laptop but all have good, free apps for your smartphone. The Culture Trip I just found this app recently and I’m fascinated by it. Open the app, type in the name of any place you’d like to know more about and instantly a selection of articles with great photos pops up on your screen. I follow from one to the next, and after each a different array of options pops up. Culture Trip is like the world’s best travel magazine, with an endless supply of information and images, and it’s free! I’ve been using it to wander around Romania lately! It will take you anywhere! Rome to Rio Want to know how to travel from one place to the next anywhere in the world? Here’s the perfect way to discover all the available options. Rome to Rio has been created by a pair of Australians who were frustrated by the difficulty of planning transportation while traveling. Enter two place names and instantly you’re provided with all the ways of going from one to the other: flights, trains, buses, driving and if available, ferries. Instantly a map pops up along with a list of travel options. As you click one of those options the map shows you the route, the app tells you the cost, and then (in some cases) it offers to arrange your ticket. Kiwi.com I may be the last to discover really-low-price air travel sites on the web. Now that I’ve done that I know how to fly to Europe for very little money. Yes, often it takes longer with lengthy delays to connecting flights. Today’s lowest price for my December flight to Paris, beginning at Newark airport in New Jersey, is $162 one way. That’s for a non-stop to Orly (the easier airport serving Paris). Yes, there will probably be some added costs. I just checked today’s price on American Airline’s site for this flight on a December weekday and it’s $3647. AirBnB Here’s my old favorite! Without AirBnB I couldn’t dream of making the journey I’m planning. Using it, I’ve found a very small apartment in the center of Venice for Christmas week for $58 a night. I’ve booked several apartments for much less than $50 a night – sometimes they are under $25 a night. Last week I cancelled my reservation for a hotel room in a French city for two nights. I replaced it with a large, well recommended room with a private bath in a lovely home and saved $110 over the cost of the hotel. There’s an interesting story in the travel section of this weekend’s New York Times about Debbie and Michael Campbell who have been seeing the world non-stop for the past five years using AirBnB rentals. You can read it here. Go see the world! It can be done for much less than you think! 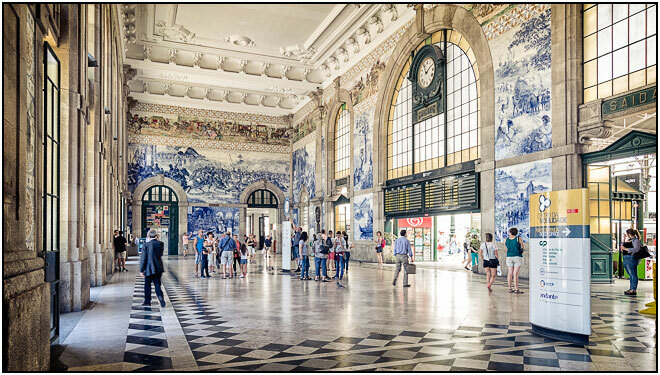 The photo at the top of this post shows the rail station in Porto, Portugal. I really like planning my journeys. I like spending many hours googling places I’ve never visited. I like looking for good places to stay – affordable places – on AirBnB. I like finding bargains such as very low cost flights to Europe. I like studying maps, learning the most logical way to move from one place to the next and finding interesting places I’ve never visited near by. I like thinking about going back to some of my favorite places – England is high on my list this year, despite being very expensive. I like finding great websites that I can share with you! I plan to fly to Europe in early December. I’ll go to two places I haven’t seen before: the Alsace-Lorraine region of eastern France and the one major country in western Europe that I’ve never been to: Switzerland. Then I’m going to return to one of my most favorite cities, Venice, for Christmas. In January I’m going to volunteer at a job-training program for women and girls in Morocco. Soon I’ll be writing about how to find a worthwhile and trustworthy volunteer placement agency. There are a lot of phony “voluntourism” companies on the web. And that’s just the beginning! I hope to travel for all of 2019. I’ll be 71 years old then and this will be my “bucket list” tour (a phrase I hate but I think it tells you succinctly why I’m taking a very long journey). I plan to spend much of my travel time in eastern Europe, in the countries that once were behind the Iron Curtain. As a guide in Montenegro once told me, “Madame, we have no McDonalds in our entire country.” No American hotels, no Starbucks either. Under the Soviet Union many beautiful old buildings survived simply because it was cheaper to use them than to replace them. Since those countries have become independent governments they have made it a point to preserve their architectural heritage and improve upon it. Many beautiful old cities are tucked away in those small countries. And I do like cities. So I hope you’ll come back to my blog, to learn some new ways for planning travel. 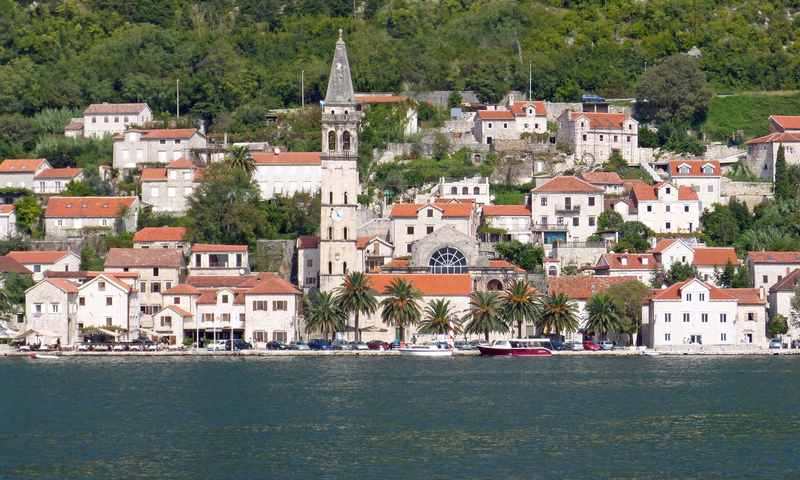 The photo at the top is Perast, Montenegro, where they have no McDonalds!